Hi, I’m Irene and I’m married with 2 children. I hold my Bachelor of Teaching and have been in the childcare profession for 19 years. I enjoy thinking outside the box and moving away from what we have always done. I believe that young children have a natural curiosity and that I need to provide opportunities for the children to experiment, discover, explore, solve problems and find out about themselves, other people, their environment and the world in which they live in. 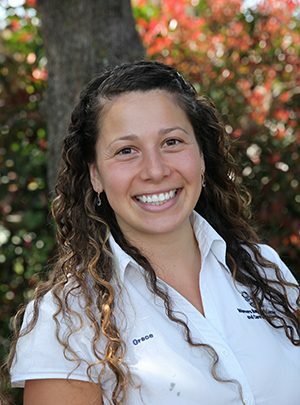 Hi my name is Bianca, I am passionate about teaching and early education and strive to support children reaching their full potential. I strongly value collaborating with families to support children as they develop skills that will help them thrive and create strong foundations for their life ahead. 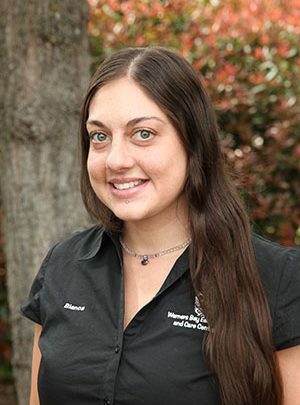 I love the outdoors and enjoy sharing this interest with the children and my passion for the natural environment is embedded in my personal and professional teaching philosophies. 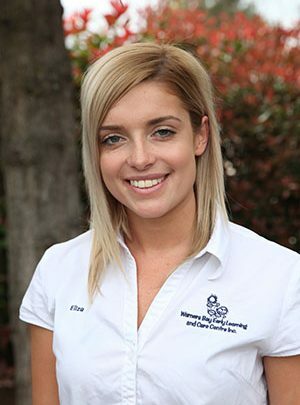 My name is Eliza, I am 24 years old and I have over 4 years’ experience working with Children. 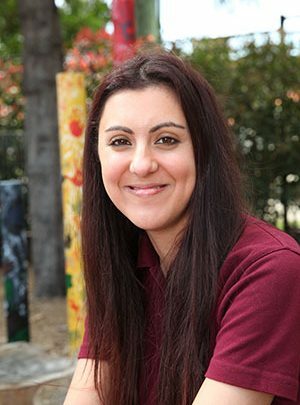 I started my cert III traineeship here at Warners Bay Early Learning and Care Centre and from that I then completed my Diploma through a traineeship which was also completed here at WBELCC. I view every child as a capable learner and involve them in decision making about their learning where possible. Hello, my name is Emma. I have a Certi cate 3 in Childcare and planning on studying my Diploma as soon as possible. I work in the Nursery fulltime and enjoy my job immensely. I love working out at the at the end of each day, it helps me sleep and relieve tension. I also enjoy cooking and eating as I come from German family, food is a big part of my life. I also have a passion for cars and being outdoors as often as I can. Certificate III in Early Childhood Education and Care. My name is Courtney, I started my traineeship at the centre in 2016 and I am now a qualified Cert lll. I have worked with all age groups between 0-5 and I currently working in the Nursery room. I am an energetic person and love working with children. Works Monday, Thursday and Friday. 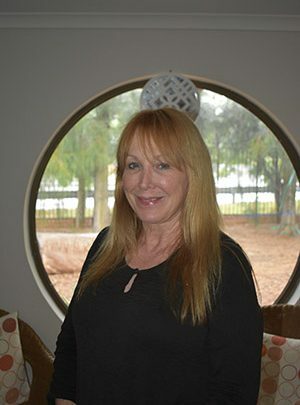 My name is Lain and I believe that children learn through play. I also believe in providing quality care, early childhood education and building positive, trusting long term relationships with children and families. I am passionate about working with children and supporting children’s learning and development through education and nurture. My job is so rewarding job and I love it because it gives me the opportunity to observe how they grow and become confident and independent learners. Hi, I’m Claire. 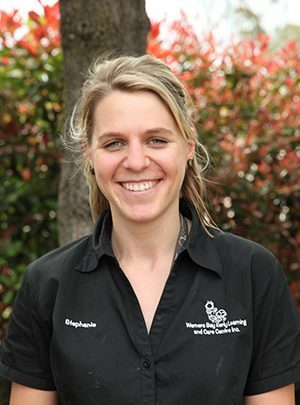 I am eager to educate and help your child develop (socially, mentally, physically) throughout their time at our centre. I believe it is very important to form a relationship with not only the child but also with the family because each child’s background is unique. 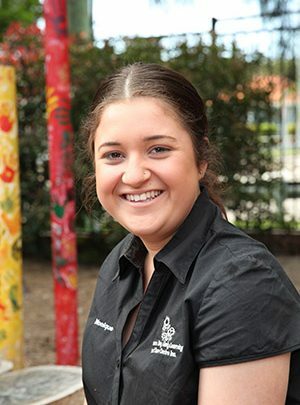 Trainee- working towards her Certificate III in Early Childhood Education and Care. My name is Deb I have a Diploma in early childhood. I am a mother of 3 children and I have worked as an early childhood educator for over 15 years. I am creative and love to stay active and I bring these passions into my early childhood teaching. I believe that the early years is an important time to nurture children’s love of learning and to foster their overall wellbeing. I strive to provide environments that are inviting fun and inspire wonder and learning. 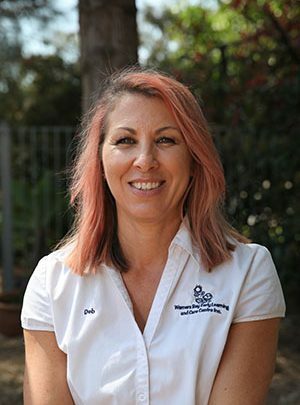 I am a mother of four, I have over 25 years experience working with children. I hold a Diploma in Children’s Services. I have been working full time at WBELC for 1 year. What I do is not just a job. To me it’s a calling I had from a very young age. This profession requires dedication, devotion and a loving commitment . My educational philosophy is to create a learning environment that is fun and exciting, based around the interests and wonder of each individual child. Hi, I’m Michelle! 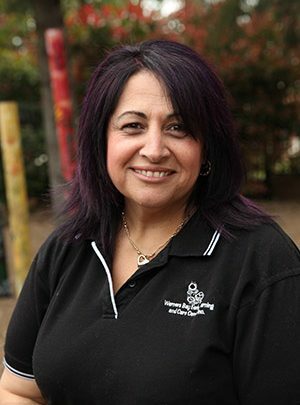 I began at Warners Bay Early Learning and Care centre in 1997. I have strong professional interests in Reggio Emilia a teaching philosophy which highlights relationships as the cornerstone of teaching. It details the environment as the third teacher, art as a language and reflects the belief that children are capable and intelligent learners which is directly related to Howard Gardeners theory of Multiple Intelligences. Outside of early childhood I love to travel and experience the different cultures of the world. I deeply value the relationships between an educator, a child and their family for I believe they build safety and security within young children, allowing them to explore and play. I agree with the many early childhood theorists whereby children’s environments are thoughtfully designed to reflect the capabilities of each child, provoking curiosity and intrigue and in this way, I believe the more meaningful and valuable children’s investigations are. I believe in the importance of motivating children to be active and hands-on with their explorations for a child’s determination fosters an understanding of learning and their discoveries a joy for learning. Works Wednesday, Thursday and Friday. 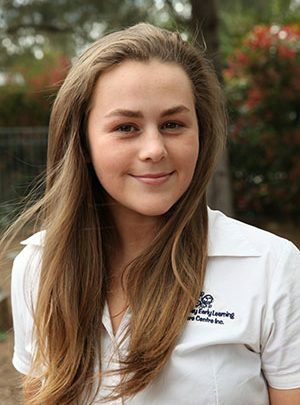 I am 18 years of age and have recently graduated high school and completed the HSC. 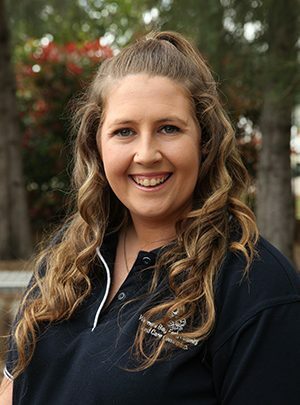 I have just moved to the Newcastle area to undertake study as a Certificate III Trainee at Warners Bay Early learning and care centre. I am a fun, energetic and passionate person who seeks to do their best. In my spare time I love music and playing gigs as well as surfing at the beach. I am looking forward to join the community at this centre and the year ahead. 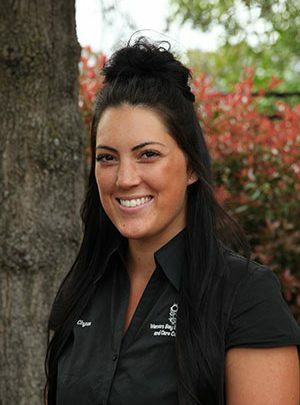 My name is Chynna and I have been working in Early Childhood for six years, and have experience with all age groups. 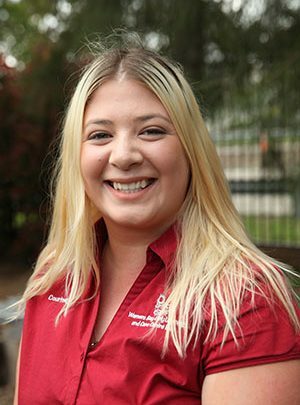 I began working in 2012 as a Cert III and developed a passion for the Early Childhood sector. I strive to fuel myself with knowledge about children’s development and how I can provide them with the best educational experience. I feel that it is important for educators to support children’s want and need to explore their world and learn through play. I am a big advocate for risky play, and all the benefits it provides for your child. Hello, my name is Tash and I work in the Preschool room 5 days a week! I have completed my Certificate III in Children’s Services and I am studying my degree in Early Childhood Education part time. 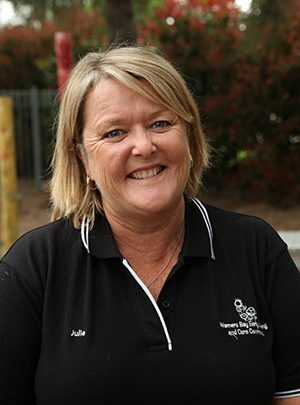 I have been working in the Early Childhood Sector for 11 years now and have worked with all age groups. From growing up in a large family I discovered that children have a unique outlook on life and are able to fill my life with joy each and every day through their laughter, words and playfulness. I believe that each child is a gift, and being an educator has a great significance to your children’s lives and your family. 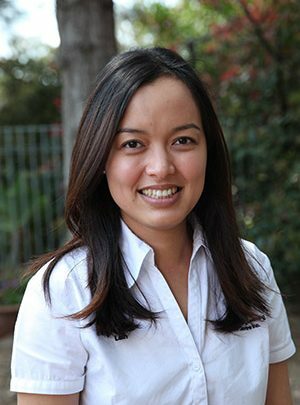 Hi, I’m Tamica, I strongly believe all children learn and grow through play and I believe play is the most valuable tool for learning. By providing children an environment rich in creativity, imagination, knowledge and by working collaboratively with children, families and the environment, children who feel safe, secure and connected have the opportunity to explore their environment and feel connected to their world. Works Monday, Tuesday, Thursday and Friday. My name is Steph and I’m 27 years old and originally from Germany. 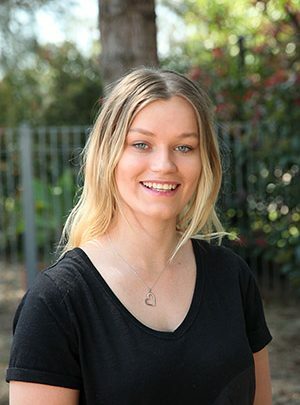 I have always had a passion for childcare and as soon as I moved to Newcastle started my childcare career and finished my Diploma in Early Childhood Education and Care. Working with children is a very rewarding job as we get to see the world through their eyes, experience and share their sense of wonder and their amazing capabilities to create, imagine, enquire and make sense of the world we live in. 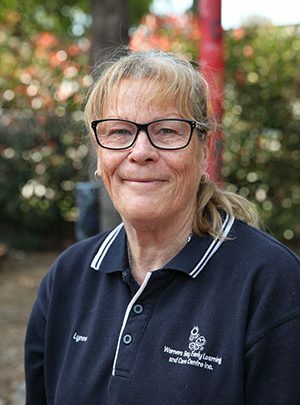 Hi, I’m Susan and I’ve worked at Warners Bay Early Learning and Care Centre Inc. since the centre opened in 1990 in the position of Administration. Over the years added to my qualifications completing a Diploma of Business, Certificate III in Children’s Services and various other certificates including WH&S taking the position of Secretary on the Committee for the past 17 years. 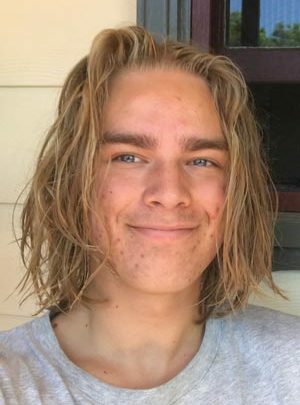 I enjoy spending time with my family and friends at the beach in Summer and the snow in Winter, try to keep fit by walking and the gym. Works Monday, Tuesday, Wednesday and Friday. Hello my name is Lynne & my position is the Cook. 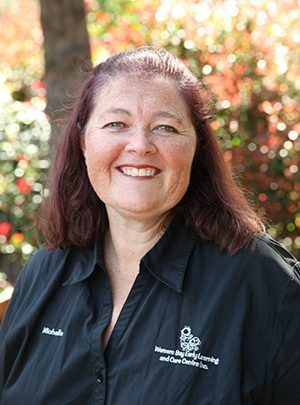 I have been at Warners Bay Early Learning & Care Centre for 27 years & 8 months. I’m married with 2 children. My role in the Centre as the Cook is planning and evaluating Menus and leasing with parents about their children’s allergies and intolerances. 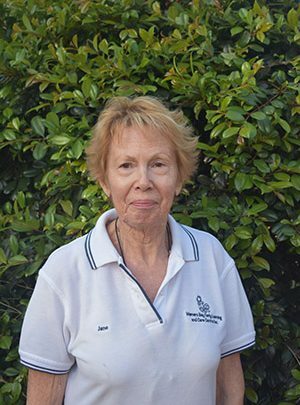 Hi my name is Jane and I am the centre’s cleaner. Like Sue and Lynne I came with the building. With the help of the educators, we try to keep on top of what the children play with, but along with what they play with is part of being a child. When I’m not at work, your children like to keep an eye out for me as I live next door, especially when I mow the yard and have to hand back the toys , hats and rocks that end up in my yard- a great game on their part!